Recently Evicted Big Brother Naija 2018 housemate Munirat Antoinette Lecky also known as Anto is ready to take Africa by storm. Anto had a blast partying and letting loose during her stay and now she’s psyched to do big things in the sports arena. 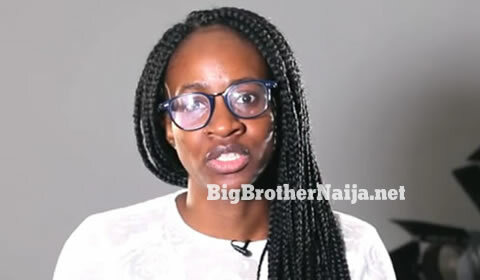 And following her exit from the house, Anto got candid with the fans as she answered why a Master’s degree holder would join the Big Brother Naija House to how she kept the Jersey girl inside of her at bay when she was angry. Question 1 : You have a master’s degree, why join BBNaija? 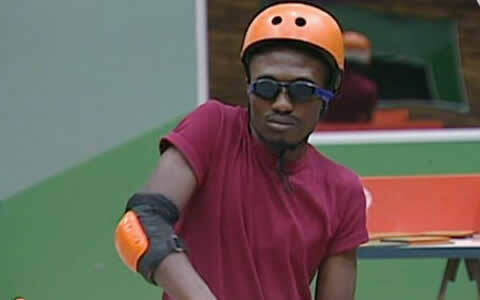 Answer : Big Brother is probably like the biggest platform in Africa, lets just be honest everybody watches the show,even if you don’t watch the show you know who was on the show, so its definately a platform for more people to know my name. I wasn’t born nor raised in Africa and there’s goals I have in this continent so if I have to be on TV for three months and act a fool for more people to know my name I think it’s the right decision to make. Question 2 : How does it feel to be separated from family and friends? Answer : Being separated from them is pretty weird, its even less about being separated from them but more about being back into the real world and seeing other people, like yeah I’ll probably miss them they’re my friends but I’ve been in Nigeria for almost 2 years but I haven’t seen my family so I’m pretty used to being away from people that I’m close to, so now it’s just trying to get back into the real world. Question 3 : – Why did you ‘hide’ your voice sometimes? Answer : The reason I hid my voice most often is because I can get very angry, people probably don’t think so, but like I’m a Jersey girl (New Jersey in New York) so me I know for a fact even when I was going to the audition process I told them, if I get to a point where I get very angry I’ll get kicked out of the house because I’ll hit someone. Anto then concludes by saying: “Thank you to all the fans who used their hard earned money to vote for me but make sure you vote me back in, now that I know you guys love, I’m ready to scatter them so please vote me back in the house, Thank you.” she said.